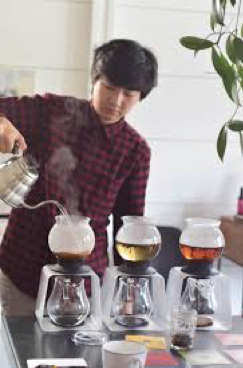 Amy Truong founded Paru Tea Bar in May 2017 and got LGBTBE certified in August 2018. Since its founding Paru Tea Bar has hit the ground running and is going strong as the brand gains new fans. 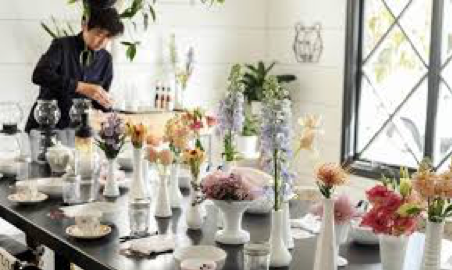 Paru Tea Bar has been featured on CBS news, Best of San Diego to name a few outlets where Amy has demonstrated the beauty of tea and creating community. 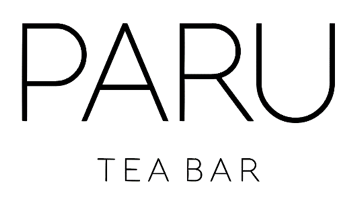 Paru Tea Bar is a San Diego based organic tea company offering a selection of premium hand-blended teas available online and through pop-ups and community events. They offer a monthly tea subscription box and tea education workshops. Recently, Amy generously donated a year’s subscription to the Silent Auction for the NGLCC National Dinner & Awards Gala. Amy graciously shared a bit about herself, her passion for tea and the engaging the community. I've worked in consulting, operations management, and creative marketing in Los Angeles, Orange County, and the San Francisco Bay Area. How did you get the concept or idea for your business? I've always been an avid tea drinker and don't drink coffee so I wanted to create more options for tea. I also am big on tea education and wanted to create a community where we are able to share our tea experiences with tastings. We have a hands-on approach with our customers, meaning that tea is a personal experience. We aren't a company that just sells tea online. We are active in our local community. Having a cup of tea can be a beautiful experience and it all starts with preparation and company you're with, and often times can be enjoyed perfectly alone. Many tea companies include artificial flavorings in their blends and the pure tea flavor is lost. We stay true to all of the teas that we carry (which we keep to seasonality and you won't find over 100 blends) in our line at a time. I'd love to keep growing our tea subscription which we just launched in September. We found that tea is a great self-care ritual and just having something consistently every month is a beautiful experience. We also hope to launch a brick and mortar store/cafe in the near future where our customers can come to our tasting room be able to share our tea creations with us while picking up a few of our blends to take home. Also, we'd love to grow our brand further nationally and internationally. How did you find your way to nglccNY? I was seeking a mentorship through a local SBA and there was a booth at San Diego Pride 2017. I took the courses and was eligible to get certified after that. How can the membership benefit from working with you? We believe that we're stronger together! And that I'd love to continue to give back and create more visibility as a LGBT woman owned, minority businesses. We want to create a strong support system among the NGLCC community and not only do we believe in our product, even though it can be tough, we love what we are doing - it's truly a labor of love! The LGBT community has been really supportive and we are advocates in creating more color and visibility throughout our business and community initiatives. We've been connected to a lot of amazing businesses so far and are excited to keep learning and working with certified businesses. Keep on going and keep putting yourself out there! Networking and joining groups are truly beneficial. There will be many times where you feel like you want to give up but surrounding yourself with a support system will make a world of difference. And never be afraid to be who you are and be proud of what you created. Thorp creates the foundation for companies to thrive. Thorp is a certified LGBTBE.